His Holiness Patriarch Kirill of Moscow and All Russia sent a message to Mr. Barack Obama, President of the United States of America, in which he expressed his deep concern over the plans of the US army to strike the territory of Syria. 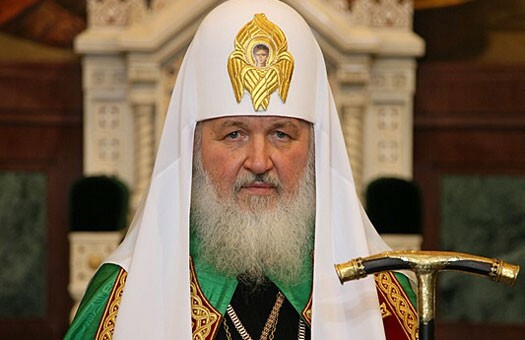 The Primate of the Russian Church apeals to the US President to listen to the voices of religious leaders who unanimously oppose any military interference in the Syrian conflict and to make every effort for the soonest commencement of peace negotiations. The tragic events in Syria have raised anxiety and caused pain in the Russian Orthodox Church. We receive information about the situation there not from the news reports but from living evidence coming to us from religious figures, ordinary believers and our compatriots living in that country. Syria today has become an arena of the armed conflict. Engaged in it are foreign mercenaries and militants linked with international terrorist centres. The war has become an everyday golgotha for millions of civilians. We were deeply alarmed to learn about the plans of the US army to strike the territory of Syria. Undoubtedly, it will bring ever greater sufferings to the Syrian people, first of all, to the civilian population. An external military intervention may result in the radical forces coming to power in Syria who will not be able and will not wish to ensure inter-confessional accord in the Syrian society. Our special concern is for the fate of the Christian population of Syria, which in that case will come under the threat of total extermination or banishment. It has already happened in the regions of the country seized by militants. An attempt made by the armed groups of the Syrian opposition to seize the town of Ma’loula whose residents are predominantly Christians has become a new confirmation of our concerns. The militants keep shelling the town in which ancient Christian monasteries are located – the sites of special veneration by the faithful all over the world. The Christian hierarchs of Aleppo, Metropolitans Paul and John Ibrahim, have been held captive by militants since April 22. Nothing is known about their fate despite of the fact that a number of religious figures appealed to the leaders of their states to help to release them. I am deeply convinced that the countries which belong to the Christian civilization bear a special responsibility for the fate of Christians in the Middle East. No doubt, the current Syrian crisis needs to be settled with the participation of the international community. In this regard, I consider it important to use the opportunities which have opened for a diplomatic settlement of the conflict. These opportunities imply the international community’s control over the chemical weapons in Syria. The Russian Orthodox Church knows the price of human sufferings and losses since in the 20th century our people survived two devastating world wars which claimed millions of lives and ruined many people’s lives. We also regard as our own pain the pain and losses the American people suffered in the terrible terrorist attacks on 11 September 2001. On the eve of the anniversary of that sad date, I appeal to you to lend your ear to the voices of religious leaders who unanimously oppose any military interference in the Syrian conflict and to make every effort for the soonest commencement of peace negotiations.